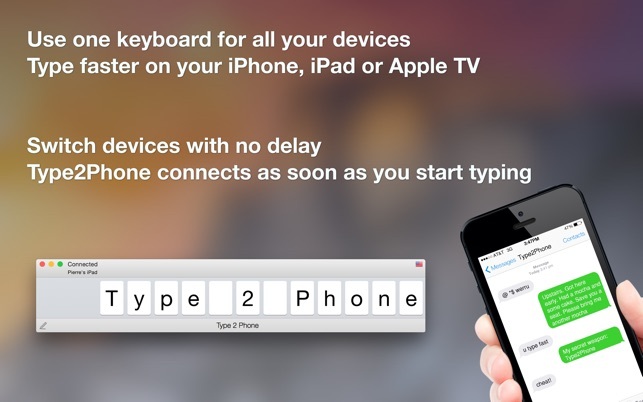 Type2Phone works just like a Bluetooth keyboard: no additional app is needed. • Type texts, tweets, status updates, etc. 4th generation Apple TV requires tvOS 9.2 to enable Bluetooth keyboard support. • On your Mac, open System Preferences > Bluetooth. Make sure Bluetooth is on and discoverable. Leave System Presences open. • Start Type2Phone. Leave it running and frontmost. • On the iOS device, go to Settings > Bluetooth. 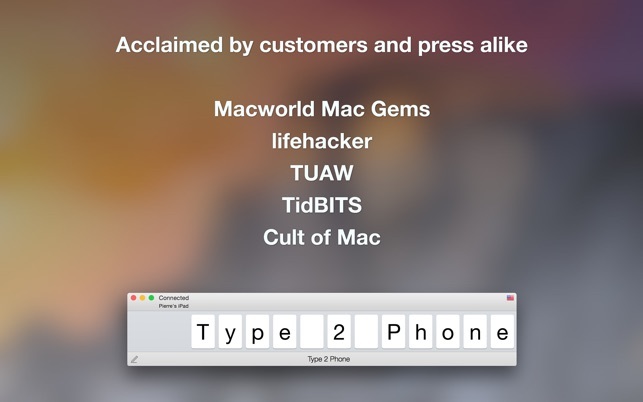 Tap the name of your Mac to start the pairing procedure. Please note: If your Mac and iOS device had been previously paired, you first need to undo the pairing on both ends. Have each device forget the other. Then go through the above procedure. "Quite possibly the biggest time-saving productivity tool in my ecosystem"
"Muy buena app. Hace lo que dice. Es sencilla, práctica, en una palabra: Perfecto¡¡¡"
"Marche parfaitement, très utile pour taper de long SMS ou autres"
"Perfekte App. Macht genau das, was sie soll. " "I have been working with 2 bluetooth keyboards […] Now I only need one. Well done!" "… my daughters are wondering how I can text back so much and so fast!" This app works perfectly, MacOS mojave. I appreciate the quick fix of the app. 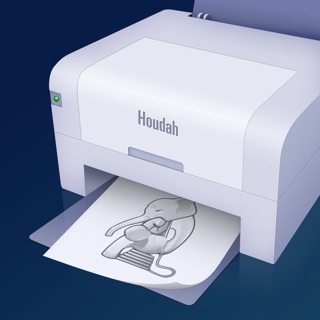 © 2011-2018 Houdah Software s.à r.l.